Two articles by John Timberman Newcomb and Elizabeth Majeruson respectively on "Justice Denied in Massachusettes" and the politicization of its author poet Edna St. Vincent Millay, both of which were sparked by the Sacco-Vanzetti case. Millay was particularly well positioned to have an impact on the politics of twentieth-century poetry because she was seen by many as a prototype of the "modern woman," especially in her assertion of the right to and need for female self-determination of body, mind, pocketbook, and voice. 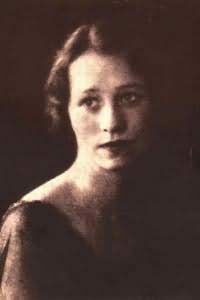 Virtually from the beginning of her career, critical discussion of Millay, favorable and unfavorable alike, had tended to treat her not merely as an individual writer but as an exemplary instance of "the woman as poet," as John Crowe Ransom put it. Thus her turn in the late 1920s toward poetry as an expression and potentially a form of political commitment was not merely an individual choice, but implied the potential for a broader scope for female poets at large. The setting which framed the poem’s description of the blighted land, "the sitting room" – traditional haven of the bourgeoisie – offered no comfort to the collective speaker, ironically becoming part of the poet’s stinging rebuke to those who had never committed themselves to the protest wholeheartedly, or who had given up too easily. Millay used persistent echoes of Eliot’s "The Love Song of J. Alfred Prufrock" ("Let us abandon our gardens and go home / And sit in the sitting-room"; "Let us sit here, sit still, / Here in the sitting-room until we die"; "We shall not feel it again. / We shall die in darkness, and be buried in the rain") to mock the fashionably alienated stance toward contemporary society exemplified by Eliotic high modernism. The phrase which served as the refrain in these passages functioned not only as a conventional grammatical marker of future intention (as in "Let us go then, you and I"), but also as a plea from the enervated collective narrator for release from the exhausting burden of social responsibility ("let us go"). As her scornful portrayal of this persona suggested, the poet would not let her audience go with a clear conscience from the struggle for these gardens of America. Those commentators unsympathetic to Millay’s efforts to write poetry of explicit political critique have treated "Justice Denied in Massachusetts" as somewhat of a notorious fall from grace, the poet’s first betrayal of her "natural lyrical gift." In 1935, for example, Cleanth Brooks [in "Miss Millay’s Maturity," a review of Wine from These Grapes in Southwest Review 20] used the poem as a lynchpin of this argument that Millay’s "preoccupation with social justice" had yielded "disappointing" results. In order to do so, however, Brooks had to contort the poem into offering the "advice" that "those who loved justice" should "‘sit in the sitting room,’ convinced that justice was truly dead and that no other effort in behalf of justice was worth making" (1), exhibiting a lack of sensitivity to the poet’s irony which was downright astonishing in a critic who would later make irony a constitutive element of his theory of literature. Recognizing no difference between the poem’s speaker and the poet, Brooks went on to patronize Millay as having the "attitude … of a child whose latest and favorite project has been smashed" (1-2), evoking the equation of woman – even woman writer – with child. The problems of gender Millay addressed in her more ironic poetry constituted her first explorations of political issues in her writing, and initially she limited her critiques of national politics to allegorical treatments of political and cultural repression in her Nancy Boyd stories. In fact, Millay’s first explicitly political poem was published under the name Nancy Boyd, a piece of pacifist satiric verse entitled "Armistice Day," printed in the December 19, 1925 issue of Literary Digest. Millay’s play Aria da Capo, published in 1924 and produced by the Provincetown Players, also approached its pacifist theme with biting irony. The Sacco and Vanzetti trial and execution in 1927 first moved Millay to bring political issues directly into her poetry, and at this point she changed her tactics somewhat, sobering the sardonic approach she had previously taken toward political issues and putting her reputation as a serious poet to work for the cause of justice. have turned, this Jesus of your faith? – Oh, not the way in which your feet are set! our doubt. Exert the clemency which your high office affords (Letters 222). Millay was also able to get her poem "Justice Denied in Massachusetts" published in The New York Times on August 22. Unlike the more idealistic and hortatory rhetoric Millay used in her letter to the governor, the spare, unrhymed "Justice Denied" has a somber and bitter tone. It uses a cutting irony throughout, but it is a darker, more serious brand of irony than Millay’s humorously sardonic political commentary in earlier works like Aria da Capo and "Armistice Day." There is no explicit mention of the Sacco and Vanzetti case except in the title, which would have been unmistakable to newspaper readers that day, and which, as John Timberman Newcomb observes, "functioned quite literally as news... a screaming newspaper headline." The poem itself portrays an allegorical landscape where a miscarriage of justice has blighted the soil and clouded the sun for good. It warns of a bitter legacy of justice denied: "Leaving to our children’s children... a blighted earth to till / with a broken hoe." Sacco and Vanzetti were executed at midnight on August 24, 1927, and the event marked a watershed for left artists and intellectuals, many of whom lost faith in the American justice system and the power of organized protest. Newcomb sees a turning point in Millay’s writing as a result of her disillusionment over the failure to change the course of events in the Sacco and Vanzetti trial, observing that it "triggered a fundamental and permanent shift in the tone of her poetry, in which an aesthetic of ‘mature’ bitterness superseded one of ‘immature’ beauty." While Newcomb overstates somewhat the starkness of this shift, he is correct in identifying a "maturing" of Millay’s work to the extent that she ceased to put irony to the flippant, deceptively frivolous uses she had in her earlier work, and favored instead a darker, more serious brand of irony. This darker form of irony is in effect in an essay Millay published several months after the executions, in the November 9, 1927 issue of The Outlook. Without once mentioning the names Sacco and Vanzetti, Millay’s essay, entitled simply "Fear," points a stern finger at those who would like to forget the "two names you would not have me mention, for you are sick of the sound of them." Millay notes that the fervor surrounding the trial and executions has died down: "From time to time some small newspaper remarks editorially that the hysteria which swept the country has abated, and congratulates its readers on having escaped disintegration.… The general opinion is that the affair has pretty well blown over." Millay’s essay is designed to avert precisely the kind of complacent forgetting she archly depicts throughout. Identifying the fear that motivated those who supported the executions or failed to stand up against them, Millay inverts the threat that the anarchists supposedly represent against "the good of the country... its honor, its institutions, the glory of its flag," asserting that in reality the "solution," depriving two people of life and liberty out of fear, represents the real threat: "Unkindness, hypocrisy, and greed – these are the forces that shall bring us low and enslave our children. Yet we quarter their troops in our house without a murmur." puts a bomb under it. His name is legion, and you will find him in every party. Defining anarchism, and noting that "generally speaking... Anarchism repudiates violent methods," Millay characterizes it as innocent, "very idealistic, very pretty," though naive about human nature since "man" is obviously "naturally cruel, selfish, and vain, and what he would be if left to his own devices it is horrible to contemplate." She reminds her reader that these two anarchists in particular had no history of violence nor of any misdeed: "Throughout the entire trial... not one word of testimony was introduced against their character for honesty, peace, and good order." order of things than to be innocent of even the grossest crime? Millay links herself to these readers in this knowledge, but separates herself from their complacency, articulating the shift away from beauty and toward bitterness that Newcomb observes in her work from this period on: "I dare say these things because… my personal physical freedom is no longer quite as important to me as it once was…. The world, the physical world, that was once all in all to me.… The beauty of these things can no longer at such moments make up to me at all for the ugliness of man, his cruelty, his greed…." The bitter education that the Sacco and Vanzetti case represented for Millay caused her to forge a synthesis in her work between her poetic selves. She draws on the passionate emotional engagement evident in much of her lyric and sentimental work, but combines it with the cynical irony of her more critical work, creating a forceful voice of biting but sober critique. Stained with these grapes I shall lie down to die. Shall not erase this stain. Millay goes on to fulfill the prophecy of eternally treading the fruit of this injustice, refusing to forget or completely move on, by returning to the Sacco and Vanzetti case in her letters and public readings, and in the volume she publishes seven years after the events take place. In the name of this volume, Wine from These Grapes, Millay reminds us of the promise not to forget about the lessons of Sacco and Vanzetti which are implicit in "Fear," "Justice Denied in Massachusetts," and "Wine from These Grapes." The book contains two new sonnets in memory of Sacco and Vanzetti, as well as a number of poems against war and the treachery of human institutions. "Apostrophe to Man" uses the Millay’s darker irony to draw connections between military, industrial, and governmental forces, driven by shared greed and egotism to the detriment of human life. "Conscientious Objector" is one of Millay’s many poems flauting a personified figure of death, and in this poem Death is associated with the war-time military as well as the forces of racism, imperialism, and political repression. Despite the greater seriousness of Millay’s irony in her poetry of this period, some critics still found this irony difficult to perceive. John Timberman Newcomb astutely notes that in reading "Justice Denied in Massachusetts" as pettish and simpleminded advice to lovers of justice to give up hope, Cleanth Brooks "exhibits a lack of sensitivity to the poet’s irony which [is] downright astonishing in a critic who would later make irony a constitutive element of his theory of literature." Taking the body of Millay criticism as a whole, this oversight on Brooks’s part is less astonishing. Many critics had trouble taking critical and ironic aspects of Millay’s work into account, and it seems clear that this is at least partly because she is a woman poet. It is also partly accountable by the fact that Millay wrote a great deal of lyric, and some very sentimental, poetry; these were the aspects of her work that made the most sense to many of her contemporary critics, and often the only aspects they chose to see. As with much of Millay’s political poetry, most critics hardly noticed the few poems directed at political issues in The Buck in the Snow and Wine from These Grapes. Shortly before and during World War II, however, Millay devoted her work entirely to poetry with a political aim: raising American consciousness of the magnitude of the conflicts involved in the war. Although it received a largely positive public response, critical attention to Millay’s World War II poetry was overwhelmingly negative. For the first time, Millay was highlighting the socially-engaged aspect of her work. But she was also offering her more traditional poetic self in these poems – rhetorically and formally conservative verse that often drew heavily on sentiment – where before her critical poems had also been her most ironic, and modern. Critics who approached Millay as a modern poet were dissatisfied that she failed to find more modern ways to address the war; those who looked to Millay for traditional, lyric verse faulted her for bringing current political events into her poetry at all. - Elizabeth Majerus, "Multiply Marginal: The Forgotten Careers of Edna St. Vincent Millay." Retrieved from the University of Illinois's section on Edna St. Vincent Millay on 20 February, 2012.